This two bedroom, one bath home offers low maintenance comfort to all. Whether you are just starting out on your homeownership journey or setting aside the worries of a larger single family home, this is the spot. Sited on the uppermost level, there are no noisy neighbors above to disturb you. The home features a large main bedroom and good sized second one, an expansive living room/dining room and a recently updated kitchen. All of the windows are new as well. Two large siding glass doors lead from the living room to the balcony, where you can while away an afternoon grilling or reading your favorite book. There is a laundry room on the lowest level. Here too is a bonus, private storage room. 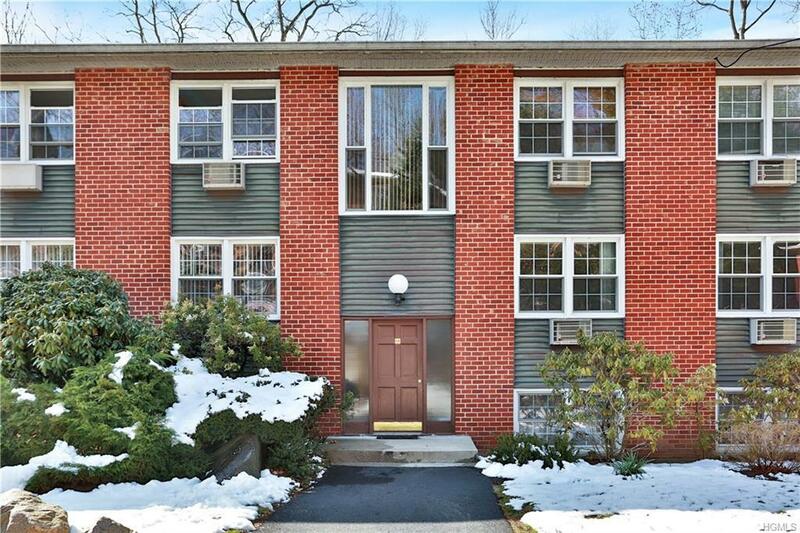 Dove Court is a conveniently located community near to shopping, restaurants, parks and just minutes from the Croton Harmon Train Station and the beautiful Hudson River. The monthly maintenance fees include taxes, exterior maintenance, heat, hot water and waste removal. Stop by, you'll be glad. Listing courtesy of Paul Leis of North Country Sothebys Int Rlt.